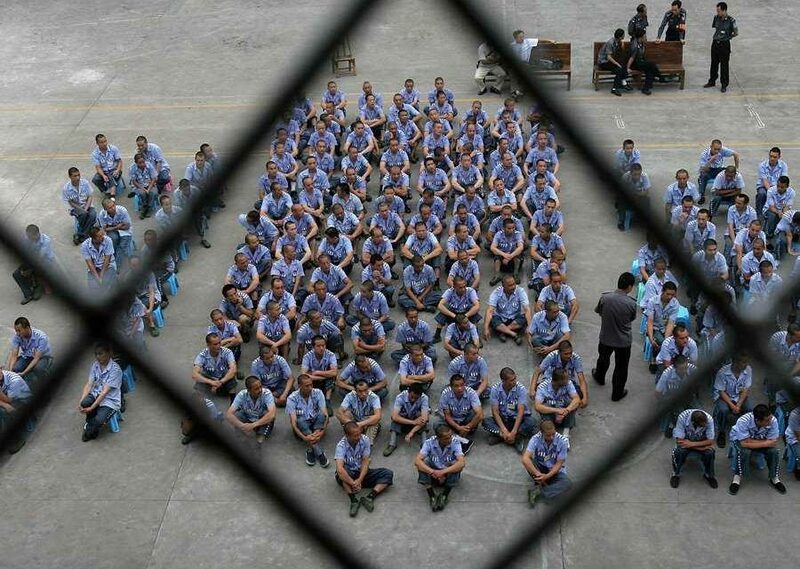 The Largest Prison Strike in History Is Being Ignored By Major Media. The prison strike didn’t merit a single mention in NYT, Washington Post, NPR, CNN or MSNBC. Thousands of prisoners in over 24 states began a labor strike on September 9, the 45th anniversary of the Attica prison uprising, to demand better conditions and healthcare, the right to unionize and what one organizing group calls an “end to slavery in America.” But one would hardly know it watching major U.S. media, which has mostly ignored the largest prison labor strike in history. One week on, the New York Times, Washington Post, NBC News, ABC News, MSNBC, Fox News, CNN, and NPR have not covered the prison strikes at all. In the same time period since the strike began, CNN has run stories on Clinton’s “body double,” the New York Times ran a piece on women getting buzzcuts and ABC News had an “exclusive trailer” for its parent corporation Disney’s upcoming film. There was certainly enough airtime and column inches to mention that workers had coordinated a national strike of unprecedented scale, but for these outlets the coverage has been nonexistent. A handful of national outlets have covered the strike: The Nation, City Lab,Engadget, Money Watch, Buzzfeed, and as of Thursday, the Wall Street Journal, but every other major publication, network news and cable network has thus far been silent. When we spoke by phone, Azzurra Crispino, media co-chair of Incarcerated Workers Organizing Committee, one of the strike organizers, was hesitant to be too hard on the press out of hope the strikes would lose coverage in the future. But after some prompting, the four-year prison abolitionist veteran listed a few measured grievances at the media. Her most consistent theme was that to the extent the strikes were being covered, the focus was on spectacle over substance, and in doing so the media was making nonviolent resistance all but impossible. “I’m a pacifist, I would like to see the strikes remain nonviolent,” Crispino told AlterNet. “Yet in terms of the mainstream press coverage when there’s blood on the ground the prisons have to fill out reports that guards were hurt so then they can’t deny strikes occurred,” she said in reference to the stonewalling of prison officials. The few reporters Crispino had spoken to said most prison spokespeople denied any strikes were taking place. “Between prisoners and TDCJ [Texas Department of Criminal Justice], who do you think reporters are going to believe?” she asked. The power asymmetry and the media’s default position of siding with government officials over those seen as criminals creates just one more barrier to coverage. At its core, coverage of the prison strikes, as with any protest action, has an inherently perverse incentive structure that puts a premium on acts of violence and property damage and overlooks non-telegenic peaceful activity, such as hunger strikes and labor stoppages. This dynamic was seen in the Standing Rock incident on September 3, when private security sicced dogs on Native American activists protesting an oil pipeline, and pictures of injured protesters went viral on social media. At the time, only Democracy Now, a relatively small left-wing news show, and AP and UPI filed original reports on the incident. Days after what the media called “clashes,” articles appeared with far greater frequency, including in major outlets like New York Times, CNN and NBC. This warped incentive structure is even more pronounced in prisons, which are by definition cut off from society. The only time anyone bothers to notice prisons is when demonstrably violent action takes place. A similar dynamic is at work when prisoners are in solitary confinement or engage in body mutilation or destruction of property, often by flooding their cells or covering them with feces or blood. Similarly, Crispino contends, each time the media ignores peaceful activities, it tips the scales further in the direction of fires, property damage and rioting. But this reason doesn’t fully explain the lack of mainstream coverage. A few outlets, as noted, have covered the strike to the extent they could, especially in the buildup to the protest, so it’s not as if there wasn’t enough information to compile a story. One possible reason is that some of corporate media’s biggest advertisers use prison labor, so the disincentive to shine a light on the problem is high. AT&T, Bank of America, Chevron, Eli Lilly, GEICO, McDonald’s, and Walmart all use prison labor and all are sponsors of corporate media so much we can recite their commercials by heart. One corporation that uses prison labor, Verizon, even owns major media outlets Yahoo and Huffington Post. Russia Today, a Moscow-funded media outlet, was the only cable news network to speak with Crispino, and to the best of her knowledge, the only one to cover the strikes. When Donald Trump appeared on RT last week, there was a frenzy of outrage by mainstream pundits, with some questioning why Trump would give credence to “Russian government-controlled propaganda.” RT’s position has always been that it covers stories the mainstream press doesn’t, and while some may see this as a cynical marketing ploy, in the case of the prison strikes it also happens to be true. Another issue for IWOC is that all the coverage thus far, even in sympathetic outlets, has ignored their broader political aims, which is prison abolition, not reform. “The IWOC is an abolitionist organization,” Crispino said. “Abolition is pretty much completely ignored. It’s interesting because people ask questions about that and they ask what would you do instead, but no one wants to hear that and they never write about it.” That the media is allergic to ideology, to having deeper discussions about our society’s core axioms and why the U.S. has 25% of the world’s prison population but 5% of the total population, is perhaps too knotty for a 800-word writeup but for those working in the trenches it can be frustrating. As the strike enters its second week, perhaps major media outlets and cable news will take a cue from activist media and the Wall Street Journal (whose report is worth reading) and shine a light, if only briefly, on the largest prison strike in history. If not, Crispino feels other tactics will eventually become more commonplace. Adam Johnson is a contributing analyst at FAIR and contributing writer for AlterNet. Follow him on Twitter @AdamJohnsonNYC. PreviousIs Hillary Clinton Faking Speeches With A Green Screen?